Community Giving Project - April 2017 Bonus! El Cajon Dog and Cat Animal Rescue (EDCAR) has been rescuing homeless animals and finding them a place to call home for the past 10 years. 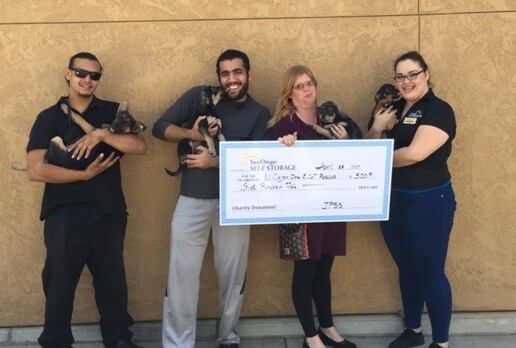 EDCAR partners with Petco to rescue 200-300 animals per year. The last time JPSS donated to EDCAR, Mike was able to pay for five spay/neuter procedures and vaccinations. The 2017 donation will make it possible for many of these animals, both young and old, to find their loving families.